"As usual everyone is against anything Ebay does" - this issue is about eBay - whats usual or UNusual about the comments on the topic "this time"? As far being "against things eBay does" - just read Ina's other column on how eBay let some buyer steal a $6500 machine from some "poor seller". Its THAT kind of behavior that gives eBay its "theft-tacular" reputation. So when a sellers money is on the line - yes ALL of us are concerned. eBay gave little to no specifics - wouldnt you be concerned? Would you buy a house or a car with the specifics they gave??? "I for one will welcome September to sign up" - doesnt look like anyone will have a choice - its eBays way or the highway. Its also not by coincidence that its how the MAFIA does things. Each and every step that eBay takes is EXACTLY what "your local mafia" does to its "customers". Let me please ask you a question or to - since you dont seem to be concerned in the least. 1) what exactly are the rates eBay will be charging sellers? Where are they published? Paypals were - where are eBays? 2) what constitutes "lower rates" .... then whom? Paypal? Chase? Wells Fargo? lower rates then NOW? Is it like a Macys sale where you raise the prices %400 then give %75 off? 4) will eBay use money holds "to insure seller compliance on returns"? 5) what percentage of 'your monies" will be released? All? part ? percentage? 6) why are only SOME people being invited to try it out? Either you have the software in place ... or you dont? 7) why do early adopters get special rates - what about the rest of us? Names don't bother us. Just look at the source. Some people aren't happy unless they do the name calling. We are to old to worry about it and just move on. The old saying sticks and stones works all the time. Some people are just unhappy with anything ebay does. 6. can you imagine the whining if ebay just tossed everyone into the program. Dumb question. Also we were asked to join. The reason we believe is that we told the reins and when ebay first announced this we email them to express our willingness to participate. DID YOU??? AS Ebay has explained a few times, they are starting to roll this program out in September. They CAN NOT, by contract with PP, roll out to 100% of Ebay at this time. This will be a 3 year roll out with more sellers added each year. Ebay has no choice in this, they have a contract in place that controls the percentage of sales that can be put through other payment program other than PP. By 2021 they will have the entire site going through their payment process. When I talked with the bank about opening up a separate checking account for the sites that have "on site Payment", I was informed that they could only deposit the money into your account. I would have to authorized any payments out of that account. * So I am thinking that eBay will keep your money for a period of time and yet Money Transmitters are required to deposit, depending on states rules, 2 days to 5 days. They can do anything they please - they do it to sellers ALL the time. They violate MANY city, state and federal trade laws - not to mention the DMCA - so you honestly believe that they are "afraid " of changing a contract (eBay is %99 lawyers) especially when the CEO of Paypal is ex eBay? As well, any contract they have or had with Paypal is by their own design. To say they "cant so something because of a contract in place" is disingenuous - as its an agreement by their own making. What is the criteria for being "chosen"? Why dont others get that break? WHO is getting those special rates? If the contract/relationship with Paypal all these years was so good - why even leave? Being put into a Beta of GSP (like I was) was purely based on the amounts of international sales (all but dead now) and my history with eBay (not to mention the problems caused by eBays unhanded uneven ecommerce rules). THIS is a monetary issue - its illegal to favor some and not others. You cant charge some people $5 for FCM and others (based on your own criteria) $20 for it - can you ? Its called "equal protection". And while its not actually in commerce as such - its a violation of OTHER laws as well. That is true UNLESS you agree to allow them to pull money. So if they make us agree to letting them pull money via something like the UA, then chances are your bank will comply. However that does not give them unfettered access to pull money at will just because they want to. Why would they need your SSN unless your sales are over $20K/yr, at which point they are required to send you a 1099? "As well, any contract they have or had with Paypal is by their own design. To say they "cant so something because of a contract in place" is disingenuous - as its an agreement by their own making." WHAT??!!?? Well of course it is by design, PP didn't just throw a document in front of them and say sign it, but you aren't allowed to read it, review it or edit it in any way. OF COURSE it was by an agreement between both parties. There is NOTHING "disingenuous" about that. That is how contracts typically work. It is an agreement between two or more parties. Key word being AGREEMENT. "If the contract/relationship with Paypal all these years was so good - why even leave?" I'm not sure anyone say that the relationship with Paypal "was so good". But setting that aside, the move to process their own payments is a solid business decision by Ebay. It will allow them to make more money from fees which is why they are in business in the first place, make money. Now of course we need to watch how this all plays out and be ever vigilant on what is going on with this process. Especially since Ebay has such trouble implementing stuff smoothly. "THIS is a monetary issue..." Yes, absolutely. I completely agree. And per the contract they have with PP, only a certain $$ value can have payments process by other means, other than PP. So chances are that they are picking sellers to meet and not exceed that ceiling within whatever range the contract allows for. BETA programs are nothing new and giving incentives to be part of a BETA program is nothing new. Sites have done it for years. I remember when Bonanza started, the first 1000 sellers to sign up got $1000 fee credit on their accounts. To bad I never even came close to selling enough on that site to even take advantage of the fee credit. We beta tested paypal when it first started. They paid us 50.00 for that experience. In the 19 or so years we have use paypal we might of had to contact them twice over something WE DIDN'T UNDERSTAND. Our biggest complaint with Paypal is they like to hide things and make it hard to fix anything in the so called resolution center. And to all of you who think we were special cause we were asked. WELL we contacted them months ago and asked to be included in the beta test......DID ANY OF YOU ASK, IF NOT WHY NOT?? Has anyone else here been asked. If not then I guess we are special. At 78 years makes my heart go thump thump finally I'm special. Your reply to me said that the reason eBay cant opt EVERYONE in at once is the contract (by implication they are STUCK with) that they created with Paypal. My reply was that they arent "stuck" at all. They are an entire company of lawyers - the contract was designed that way - so if they wanted to - they COULD have had everyone join at once. its be DESIGN not happenstance. ""If the contract/relationship with Paypal all these years was so good - why even leave?" I'm not sure anyone say that the relationship with Paypal "was so good". But setting that aside, the move to process their own payments is a solid business decision by Ebay. It will allow them to make more money from fees which is why they are in business in the first place, make money. " ""THIS is a monetary issue..." Yes, absolutely. I completely agree. And per the contract they have with PP, only a certain $$ value can have payments process by other means, other than PP. So chances are that they are picking sellers to meet and not exceed that ceiling within whatever range the contract allows for. Um again - its by choice - no one held a gun to eBays head and forced them to come up with those numbers, so the picking of specific people who get "better then others terms" as ON PURPOSE. "BETA programs are nothing new and giving incentives to be part of a BETA program is nothing new. Sites have done it for years." Again I point you to Equal Protection laws. Rates (like in a bank or on a CC application) MUST be clear and available to all. Rates are based on your credit history but must be clear BEFORE you sign up -not after. Its simple comsumer protection banking laws. Im not sure why its a bone of contention - its simply eBay breaking the laws again. They want you to sign up but wont tell you till AFTER you do so what they will charge you. Prices on items in stores MUST be clearly marked and on display for EVERYONE. Its illegal to have no price displayed, tell people you have to buy it before they tell you how much the item is. We also recieved a FAQ's and not being computer literate on how to send this I will just copy it. Maybe it will answer some questions and maybe not. 1. I'm a seller, is there anything I need to do right now? Answer per Ebay. No, you do not need to take any action at this time. If you are eligile, you will receive an email invitation to participate in the initial launch of the new payments experience. 2. What does it mean to manage payments? Answer per Ebay.. It means that ebay will manage the end to end payments flow on the ebay platform. Buyers will be able to complete their purchases on ebay, and the sellers will be paid directly by ebay to their bank accounts. 3.Why have you decided to manage payments? Answer per Ebay We believe this is an opportunity to deliver a more seamless experience for both buyers and sellers, while offering a greater choice in payment and payout options. 4. What does this mean for my seller fees? Answer per Ebay Most sellers can expect lower overall selling costs. All sellers will also benefit from a simplified pricing structure and more visibility to sales and payouts..
5. How will you deterine which sellers will be able to participate first? Answer per Ebay. We randomly selected sellers based on a variety of criteria including sales volume, seller location, percentage of business conducted domestically vs. internationally, seasonality of sales, and catagories. 6. How will claims and returns work? Answer per Ebay. In the anaged payments model, ebay will offer buyers the capability to submit disputes and claims through the ebay resolution center for most situations. This will provide better visibility to you in managing claims and disputes. In the majority of claims, returns and refunds, ebay will continue to follow existing policies, and refunds will be returned to the original payment methos used at time of purchase. 7. Will we have seller protections like we do with paypal? help you safeguard your online sales, and prevent you from losing money to chargebacks and claims. 8. When and how can I get my payments? Where will I go to get paid? Answer per Ebay. Generally, you'll get paid daily and directly to your bank account, regardless of how your buyer chooses to pay. From you bank account, you can access your funds directly, there's no need to transfer funds among accounts. Depending on your bank,you can typically expect payouts to be sent to your bank account within 2-4 business days of an order confirmation. 9. Do I or my buyers have to sign up with a new payment provider? Answer per Ebay. No With ebay managing payments, sellers will only need an ebay account to sell and get paid on ebay, rather than a relationship with both ebay and a payment provider. Like any other online retailer, buyers can choose how they'd like to pay and the processor will not be visible to them. Thats all I have folks. Read what you want to in the information but thats all we know right now. If you wanted to be part of eBays Frankenstein experiment - more power to you my dear. After 20+ years on eBay and with Paypal - the 2 of them (bobsi twins) are no pickle to deal with. While your entanglements with them maybe limited - mine were considerably more, enough to warrant lawyers letters. Ive had to put them "back on the right path" a few times by threatening legal action - Im glad you didnt have to experience that . they are important questions - if they arent to you - thats fine - but it doesnt diminish their importance. As for #6 - other eBay dictates are ALL or none - why should (in theory) this be any different? The reason ebafia isn't disclosing their "lower fees" is that there will be a tiered fee schedule. The question is what the thresholds will be. I know this because a recent ebafia expression surveys asked participants to tell them which fee schedule PayPal was charging them. You sound so unhappy............ Why do you still sell on Ebay???? I would guess you still make money. Of course no one held a gun to Ebay or to PP. It is an AGREEMENT that BOTH companies came up with. And for good reason. If the contract allowed for Ebay to pull out of PP ASAP upon the execution of the contract, the PP Ebay split would have turned out quite differently. The value of PP would have been significantly decreased. There is good business sense on both companies sides for the phasing out of PP. PP had restrictions to adhere to as well. It wasn't a one sided contract. We simply disagree about Beta programs. We just have a difference of opinion. Yes Ebay will make this mandatory for all by 2021. I understand why they would do this, just as other sites have. But I agree with you, there are lots of questions that have not yet been completely answered, so I'm keeping my eyes and my mind open on the subject. To Ebayout- try opening a bank account without providing one. It cannot be done. Again, I suspect it's the law and has nothing to do with issuance of a 1099. Much like if you go to the bank and say "look I promise to keep under $100 in this account at all times so the interest never gets to enough ($10) where you have to 1099 me...." they still won't allow you to open an account- as they're subject to the Know Your Customer laws and would be in trouble for facilitating money laundering if they didn't comply. I expect the same is true for eBay as soon as they start touching the money. Once they have control of your money your screwed... just like Amazon. 1 - If your bank does not have a signed authorization from the owner of the account for amounts to be withdrawn by another source (Electronic Debits) they will NOT allow that to happen no matter what the UA says as they are bound by the banking rules and regulations, not Ebays UA. That will be an issue for the Seller and Ebay to work out. 2 - Since Ebay is going to be the payment intermediary, when it comes to chargebacks they are going to be the one dealing with Adyen on these issues, not the individual sellers. So if they decide that the buyer wins you are SOL because they are the only ones that have a say so in this, period. 3 - Ebay is entering into an area of business that they have no experience in nor do they really have a clue what the rules and regulations are. They owned Paypal but Paypal had its own campus and was run by its own people with Ebay only being the owner of the company. They did not get involved in the day to day operations nor dealing with the banking regulators on whether they meet the requirements or not. Paypal recently got fine $360 million for having their security policies to lax at Venmo for the Banking Regulators liking and this is a company that has been dealing with them for years. Imagine what Ebay is going to wake up to in the way of fines and security breaches when they decide to take this live. Sellers will not have a choice in 2021 if Ebay continues down the line it is taking, but this also assumes that Wenig is still there by then and whoever replaces him realizes the pitfalls they are stepping into. I do believe that the delays in sellers getting their money from Ebay is going to cause a lot of sellers to leave just because they feel Ebay is cheating them, although they may not be. I may be wrong, but I do believe Ebay is going to lose a ton of business when they make this change just because of the lack of trust and the requirement that Sellers move to Sellers Hub which at this point in time is still a massive expensive joke. 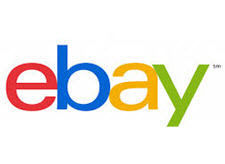 4 - I will admit that the lack of details that Ebay is supplying at this time is very concerning as they already have their rates and terms worked out with Adyen. Ebay will probably come in at $.35 per transaction fee or higher and then give their sellers a discount from Paypals rates to 2.95% which overall will cost more than Paypal because of the transaction fee. Also Adyen will be charging Ebay a batch fee for every batch that is processed so you better believe that the Sellers will wind up eating that plus Ebay will expect to make a profit on it. Overall sellers may think they are getting better rates but Ebay will be making it up elsewhere with other hidden charges that are included by Adyen but that Ebay will charge for but never disclose all the details. There are numerous other charges that can be waived by Adyen to Ebay but that Ebay can charge us that will be pure profit for Ebay. I would love nothing better than to see their contract with Adyen, but you better believe they will never reveal that they are charging the sellers a lot more than they are paying. Very similar to the postage rates where Ebay negotiates a rate with USPS and that is what they pay but when they charge us it is marked up to where the competitors are. EBay learned an expensive lesson on that one when they refused to drop the 1-4 oz FCP down to $2.58 from $2.64 while all the others did. After 2 months of refusing we got the typical You spoke We listened. Yea we spoke with our money by refusing to buy their postage and Ebay lost a ton of postage revenue they are still trying to recover. 5 - Sellers can expect to receive their money in 2-4 days depending on the bank they use, which is another way of saying that Ebay can play the float longer at quarter end when they need additional revenues for the quarter. Also since they will be accepting American Express and Amex charges a higher discount rate than Visa and MC unless you agree to longer hold times, this gives them the ability to hold that money longer and your batches will be harder to reconcile since you will not know which items are Amex and which are not. Again, another big concern on my part will be having the TRUE ability to easily reconcile what Ebay deposits into my account on a daily basis. All I will see in my account is an amount and based on what I have seen from Ebays sales records and diligence when it comes to showing whether an item is really paid or not (Ebay says it is but Paypal shows no money) I have my sincere doubts. 6 - It will be interesting as all heck to see how EBay handles E-checks or if they even allow them at all. That could cause more loss of business for sellers, although personally I don't care for E-checks, these days any sale is at least a sale on Ebay. 7 - As for other merchant accounts being allowed to be used, I highly doubt it because Ebay is going to be the payment intermediary for ALL transactions on Ebay and this would steal money from them. Unless the banking regulations absolutely force that issue based on potential monopoly issues, I would not hold my breath waiting for Ebay to allow you to use other processors. Even when they owned Paypal they reluctantly offered a couple of other choices because they were forced to by government regulations, not by their own free will. 8 - Once again Ebay shows just how professional and competent the personnel working for them are. I do not know of one word processing or E-mail program that does not include spell check - yet that copied response from Sasi has so many spelling errors in it I would almost think it had come from Nigeria not a Publicly traded company in the US. Just goes to show the quality of personnel that Ebay continues to hire when all the competent help leaves or gets laid off for being competent and showing the Wenig what an idiot he is. A lot of people are doing a lot of assuming and you know what that means.